Good Friday is observed to commemorate the crucifixion of Jesus Christ. Sections of Christians across the globe observe the day with sermons, prayers and different events. Good Friday is observed after a month of fasting, called Lent. 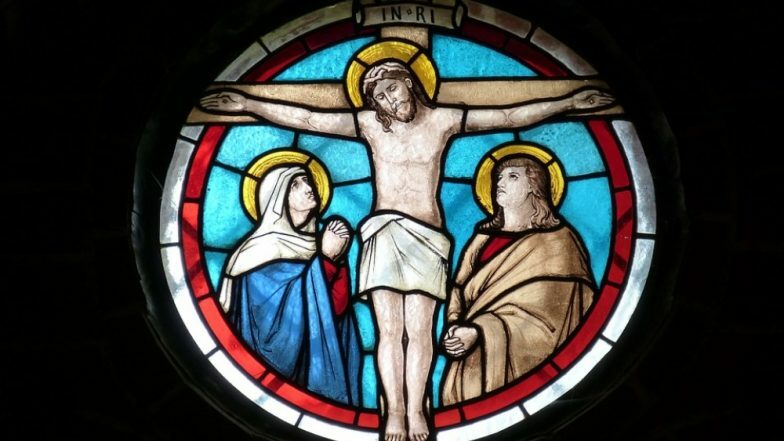 The date for Good Friday 2019 is April 19 which is followed by Easter on Sunday (April 21). Good Friday is one of the oldest Christian holidays with some saying it is observed since 100 CE. Holy Week which is observed just before Easter began on April 14 and will end on April 20. It is also the last week of Lent, in the West following which Palm Sunday, Holy Wednesday, Maundy Thursday, Good Friday, and Holy Saturday are observed. Good Friday is also known as Holy Friday, Great Friday and Black Friday in certain traditions. Christians believe that Jesus Christ died to save the entire humanity from their sins. According to historians, he was killed by the then Roman government in 33 AD. There are various theories explaining why the day is called Good Friday. While some believe it is known so because of the goodness of Jesus Christ to sacrifice himself, while others say it because the word 'God' is referred to as 'Good' in holy scriptures. Why Is It Called Good Friday? What is Great Friday? All Your FAQs Answered On Why Christians Observe Good Friday. According to The Bible, Jesus was crucified on a cross along with two criminals on either side. He was betrayed into the hands of the Roman soldiers by one of his 12 disciples Judas Iscariot for merely 30 silver coins. Jesus was accused of blasphemy as he called himself the 'Son of God'. He was taken to four different courts a day before his death and as nothing was being told in his favour during the interrogation, he was sentenced to death. Moreover, Jews created an uproar demanding the crucifixion of Jesus Christ. The crucifixion of Jesus is hence a day of mourning for Christians. Following which, a secret follower of Jesus Christ requested the body so that it could be buried. It was wrapped according to Jewish traditions and kept in a freshly cut rock. The Bible says on the third day from his crucifixion, Jesus Christ rose from the dead which is celebrated as Easter. Food plays an integral part in Easter celebrations. Depending on the traditions and culture, different preparations of meat, fish and other delicacies are made on the Sunday following Good Fridat. Special sermons are conducted in the Church where the life of Jesus is explained. Believers meet their friends, family, relatives and closed ones on the day and celebrate the day together.